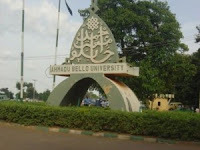 Go to ABU postgraduate admission portal @ https://spgs.abu.edu.ng/forms/ad. Finally, click on the ‘>’ button to access your ABU postgraduate admission status. Successfully admitted candidates can now proceed with registration, screening, payment of acceptance fee and collection of admission letters.